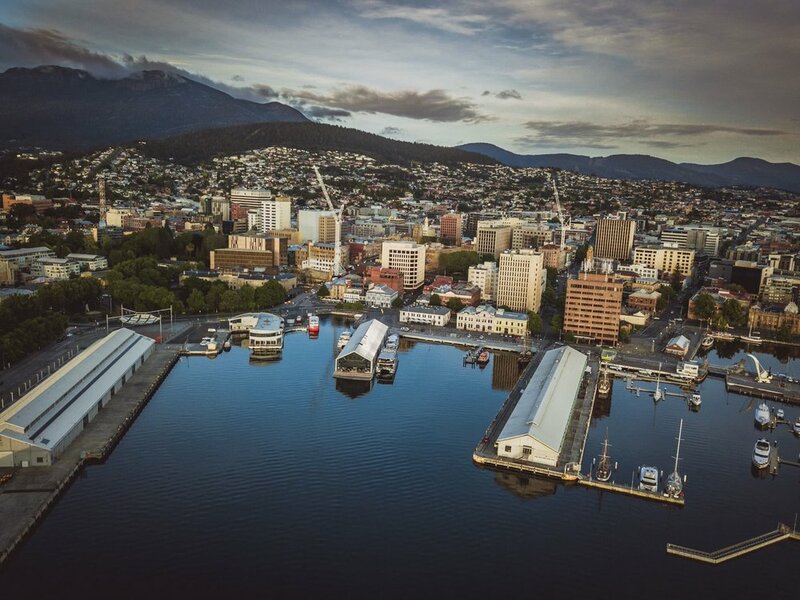 Located in the heart of Hobart's Maritime precinct, a few steps from the docks, Salamanca and Battery Point. The essence of waterfront life in Hobart - sunshine on sandstone, salty breezes from the sea, the slap of halyards on masts, a friendly greeting. Head on down to Customs to catch the up and coming Gabe Dagrezio. Finding his own unique style with his trustworthy acoustic, Gabe sets an atmosphere you can’t miss. A lovely little duo acoustic with some percussion mixed in, No Balance Required is the kind of band you’d wanna show your parents. Hobart’s best Events & Function Musician is coming to the Customs House! Mr West is so good to listen to, he turns any regular gig into an event in itself! Coming to Custom’s House is THE Tori Percival. Stop on down for a unique, intimate show. Waterfront views, balcony, king bed and complimentary breakfast and WIFI included. Waterfront views, king bed and complimentary breakfast and WIFI included. Featuring a King Size bed, table and chairs and a sofa. Complimentary cooked breakfast is included for two. Ensuite bathroom, Wifi Internet access included. Complimentary cooked breakfast is included for two. This room is overlooking the Derwent River and the Hobart Wharf, 1 Queen bed and 1 Single bed, ensuite bathroom, ADSL Internet access included. Extra person $40. Complimentary cooked breakfast is included for two. This room is overlooking the Derwent River and the Hobart Wharf, Queen bed, ensuite bathroom, ADSL Internet access included. Complimentary cooked breakfast is included for two. Queen bed with ensuite bathroom, ADSL Internet access included. Complimentary cooked breakfast is included for two. Queen bed with ensuite bathroom, WIFI Internet access included. Cascade beer battered or crumbed, served with chips, salad & tartare. Battered fish, crumbed scallops, calamari & mussels served with chips, salad & tartare. Crumbed to order. Chips & salad or roasted potatoes & greens with your choice of sauce. Smoked & cured meat, a selection of Tasmanian cheeses, house pickles, balsamic onion & toasted sourdough bread. with your choice of olive oil & balsamic or garlic butter. with a duo of house made dips. Pepper (df), mushroom or gravy (df). Dijon, hot english or seeded. 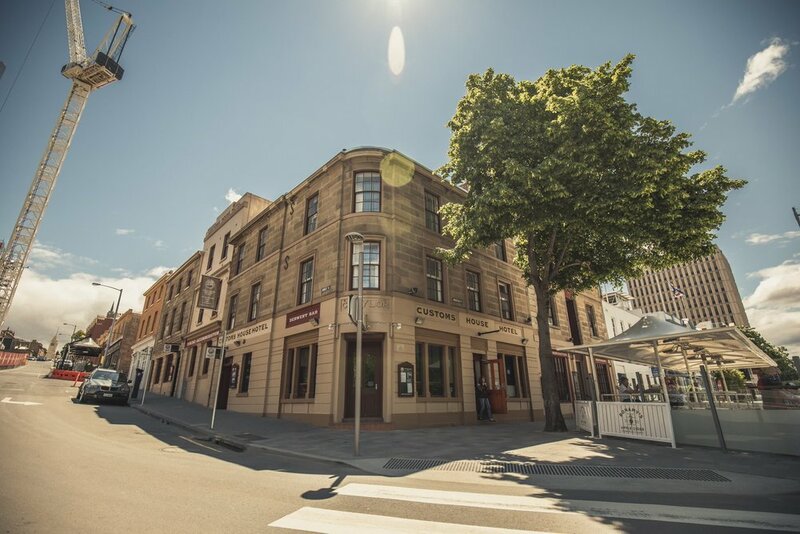 The Customs House Hotel is the perfect place for any function. 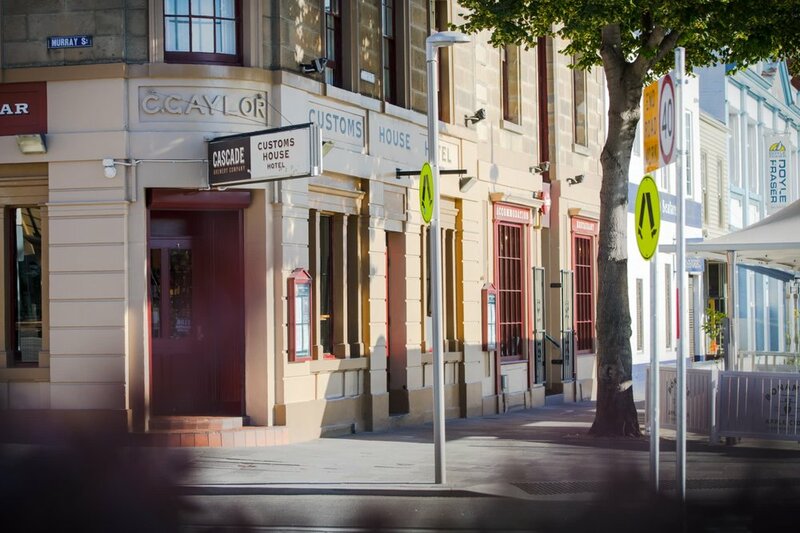 Whether it be a family gathering, or a work dinner, Customs house is the place for you. A unique place, you and your company are sure to have an environment where you can have fun. marinated grilled haloumi, cos lettuce,tomato, tequila & lime aioli & fries. chorizo, olives, mushrooms, capsicum, red onion, spinach. chicken, capsicum, red onion, chipotle mayo & coriander. mushroom, capscicum, sundried tomato, onion & spinach. need a different way to drink Fireball? just add Willie Smith's and enjoy! Yes, but it is strictly limited and requires a pre booking. The parking is unavailable at certain times of the year. Please refer to our parking section for further information. Yes. We have some of the freshest tap water in the world. Do we have a lift? Yes we do, however there are some stairs leading to all rooms due to the historic layout of the building and also the fact that we are made up of three different buildings. We do also have 4 rooms that are located on the third floor and there are a flight of stairs to access these rooms as the lift only goes to level 2. If you require help with bags please don’t hesitate to ask. Yes, we have a self-serve laundry located on the first floor as well as same day dry cleaning services available (clothes must be dropped off before 9am for same day dry cleaning). Laundry detergent is sold at the reception desk. Do we have a gym/pool? No we do not, but we can assist in locating the nearest facilities. Do we have ensuite bathrooms? Yes, all of our rooms have their own bathrooms and toilet. No, we do not have cooking facilities in the rooms. We do provide tea and coffee making facilities and a small fridge. We are in the busiest area of Hobart so it is possible that you will encounter some noise during your stay with us. We do everything we can to minimise the impact of this noise but cannot guarantee that your room will be silent. Yes, we serve breakfast lunch and dinner 7 days of the year (except Christmas Day). We also serve meals in our Derwent Bar. Do we have hairdryers in all our rooms? Yes, there is a wall mounted hair dryer in each room. Yes, we provide all the linen and towels for your stay. Are we located far from the Hobart Shopping Precinct? No, we are a 5 minute walk from the main shopping are. Do we provide an airport shuttle? No, we do not have a shuttle at the hotel but the Sky Bus (1300 759 287) service every arrival and departure for $19.50pp. Taxi is also available for approximately $55 one way to the airport. The Sky Bus service picks up and drops off from the front of the Brooke Street Pier which is located over the road from the hotel. We are a 20 minute car ride from Hobart International Airport or 45 minutes approx via the Sky Bus Shuttle.